I LOVE, LOVE, LOVE this time of year! The crispness in the air, football on tv, the UK Wildcats starting to hit the court, autumn leaves, pumpkins, hot chocolate… love it, love it, love it. 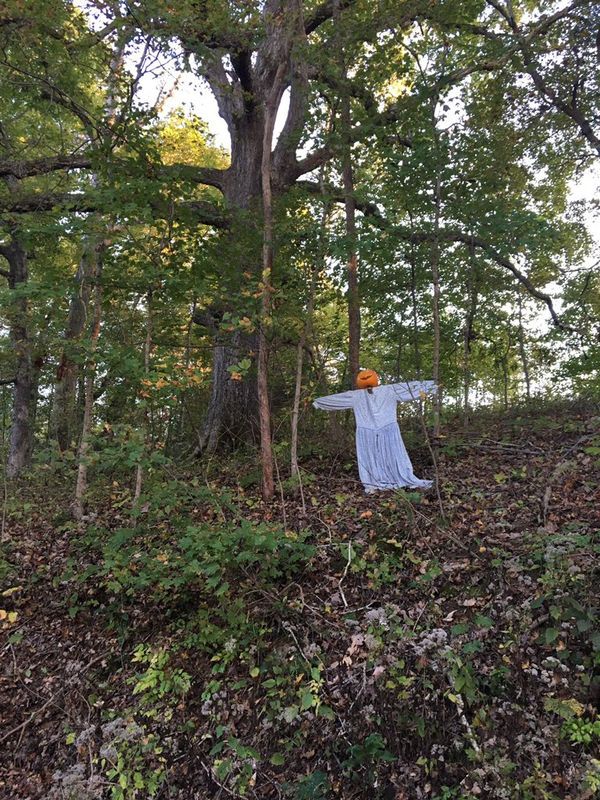 So, needless to say, I’m excited that it’s time for Snap Apple Night at the 1850’s Homeplace in the Land Between the Lakes. They put on such a wonderful production – you can tell that (like me!) they’re kids at heart. The decorations, the festivities, the atmosphere… they embrace this season like it deserves to be embraced. Below are events that’ll be going on tomorrow (October 13). Hope you can make it! In Ireland, people carved turnips with scary faces to help ward off evil spirits. The tradition migrated to the United States where the pumpkin became the vegetable of choice. Help the Homeplace workers scoop out the insides of turnips and pumpkins and create scary faces on them for Snap Apple Night! Come early since there are a limited number of pumpkins to carve. Enjoy an evening in the 1850s where the nights were very dark, and the only light comes from lanterns. Family entertainment was sitting round the hearth listening to stories of long ago. 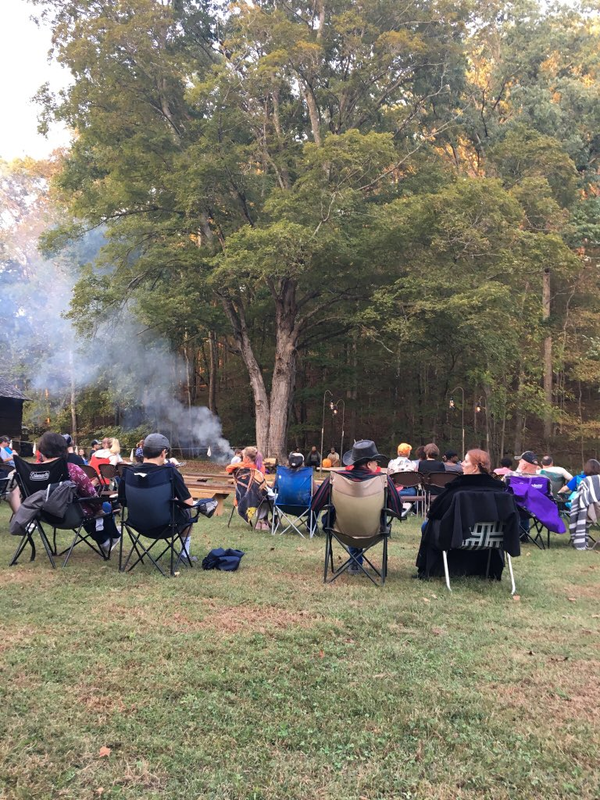 Step back in time, gather around for the old-time tradition of storytelling and listen to award winning storyteller Brian “Fox” Ellis www.foxtalesint.com as he shares scary stories around the blazing bonfire. Between storytelling, get a hot cup of cider and discover your future as we tap into the “other world” and learn your fate through Victorian fortune telling games. Program held rain or shine, so please be prepared for the weather. Great family fun! It’s that time of year again! 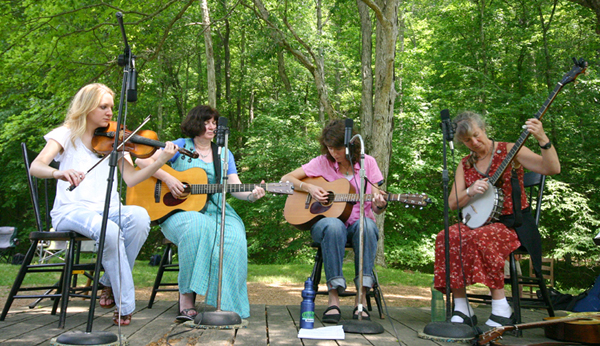 The Homeplace 1850s Working Farm will host their Pickin’ Party Old-Time Music Festival on Saturday and Sunday, June 10 and 11, 2017, from 10 am to 5:30 pm at Land Between the Lakes in Kentucky and Tennessee. Festival and farm admission is $7 ages 13 and up, $5 ages 5-12, and free for ages 4 and under. Old-time music is a tradition of our ancestors in this part of the country, brought with them from the old world, then changed to reflect their new world. Old-time music is our connection to the past; we can hear the voices of our forefathers telling stories of hardships and sorrows, as well as celebrations and joys. Mandolin builder Mike Holmes also works his craft all weekend and offers his handmade mandolins for sale. In the event of rain, the Pickin’ Party moves to the indoor theater. 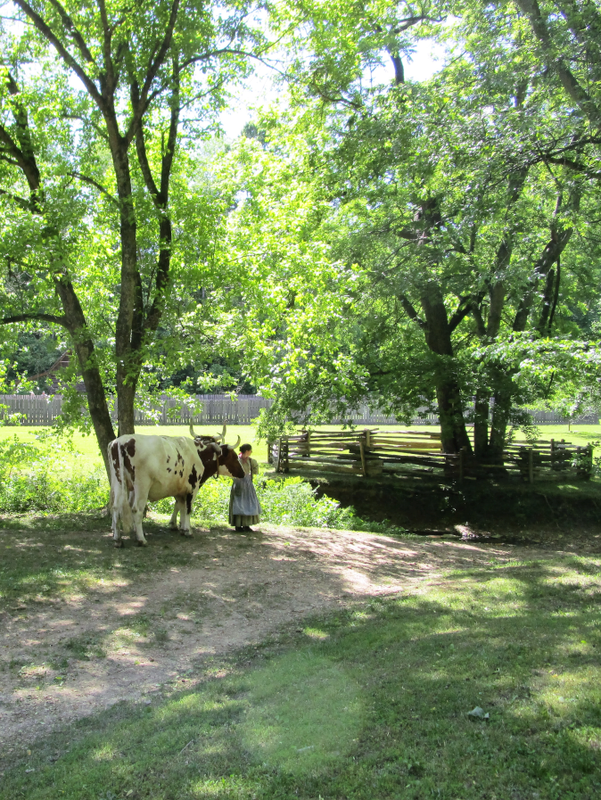 Afternoons on the farm also feature children’s 1850s play time, weaving, blacksmithing, meet our oxen and knitting in public. Visitors are encouraged to bring their knitting needles and knit while listening to music straight from the past. Bring lawn chairs or ground blankets to relax under the cool shade trees while enjoying old-time music. The festival offers open mic opportunities for local musicians and attendees. Festival food is available for purchase at the farm. 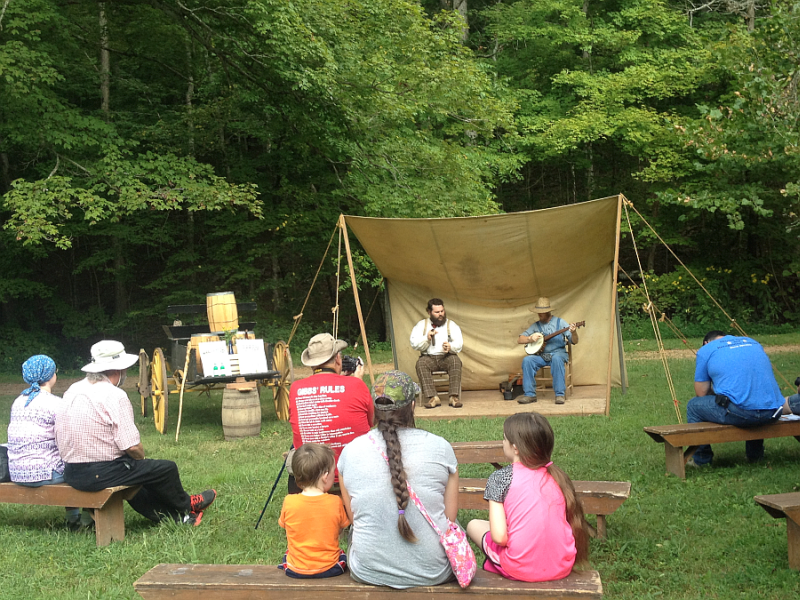 Visitors may bring their instruments for jamming and open mic sessions on both days at the Homeplace. Land Between the Lakes provides several options for overnight accommodations for those wishing to stay on the recreation area. See more information about our local communities – https://www.landbetweenthelakes.us/visit/community. Celebrate the Fourth of July on the Farm! As far as I’m concerned, it’s always the right time to step back in time to a simpler time… a more peaceful time… at the Homeplace in the Land Between the Lakes. Visitors searching for a traditional family-oriented celebration should definitely visit the Homeplace 1850s Farm on the Fourth of July at Land Between The Lakes National Recreation Area. Celebrate Independence Day from 1-4pm on Monday, July 4, 2016 with races, skillet tossing, horse shoes, old-time music, toys, and games. Admission is $5 ages 13 and up; $3 ages 5-12; free for ages 4 and under, and includes all the day’s activities and programs. 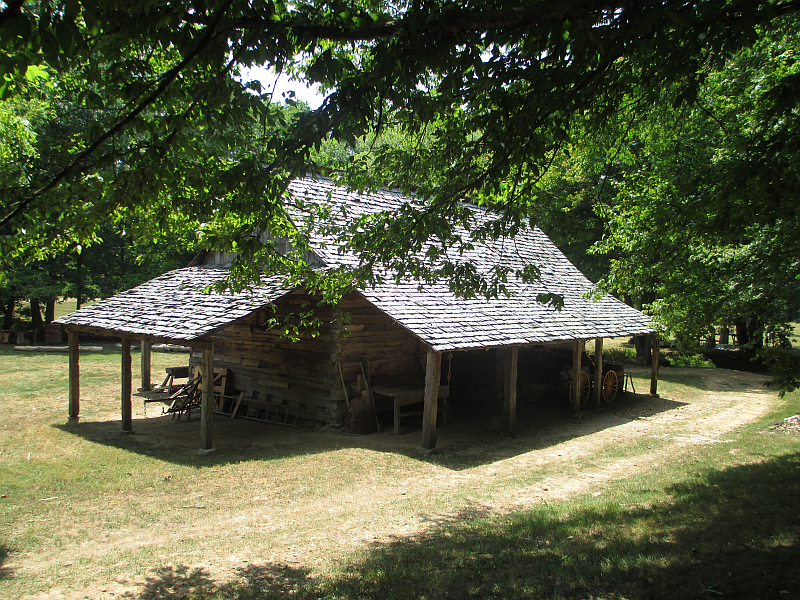 The Homeplace 1850s Farm represents a two-generation family farm. Visitors mingle with interpreters clad in period attire going about their daily chores. Artifacts, restored historic structures, and traditional seasonal activities take visitors back-in-time to relive history before the American Civil War. When you go through the doors and out the back, you step right into the 1850s. Are You Ready for the 16th Annual Homeplace Pickin’ Party?! This event has expired, but you can find a list of up to the minute Kentucky Events as well as an entire page about Things to Do in Kentucky! I LOVE this time of year! 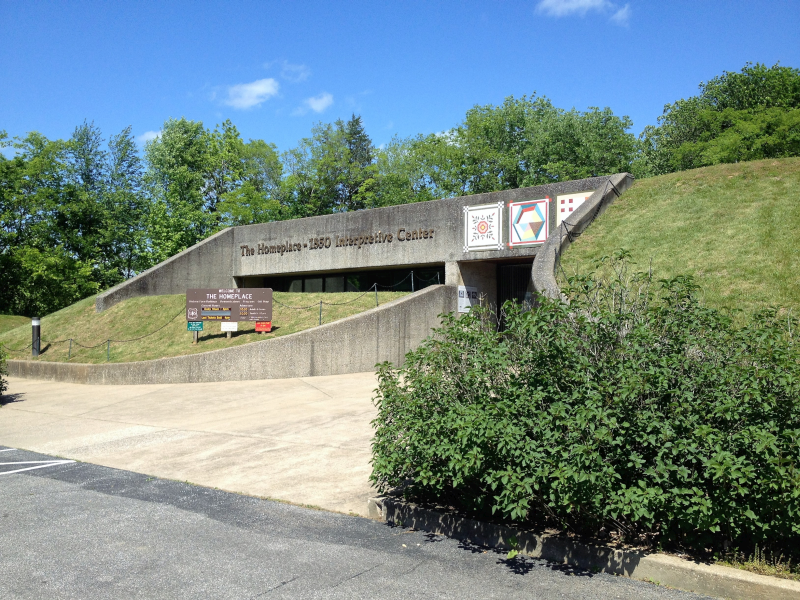 Baseball, chocolate sundaes, grilling out, trees in bloom, hummingbirds, more chocolate sundaes… and Kentucky events. Lots and lots of Kentucky events. I could, literally, write 6 hours a day – 7 days a week – about all of the outrageously cool Kentucky events coming up. And that’s just the month of June! Here’s one that I get a special kick out of sharing with you. As you know, I’m wild about everything related to the Land Between the Lakes, so I jump at any opportunity to head in their direction. The Homeplace is one of my favorite places in the world, so this event announcement is especially exciting. 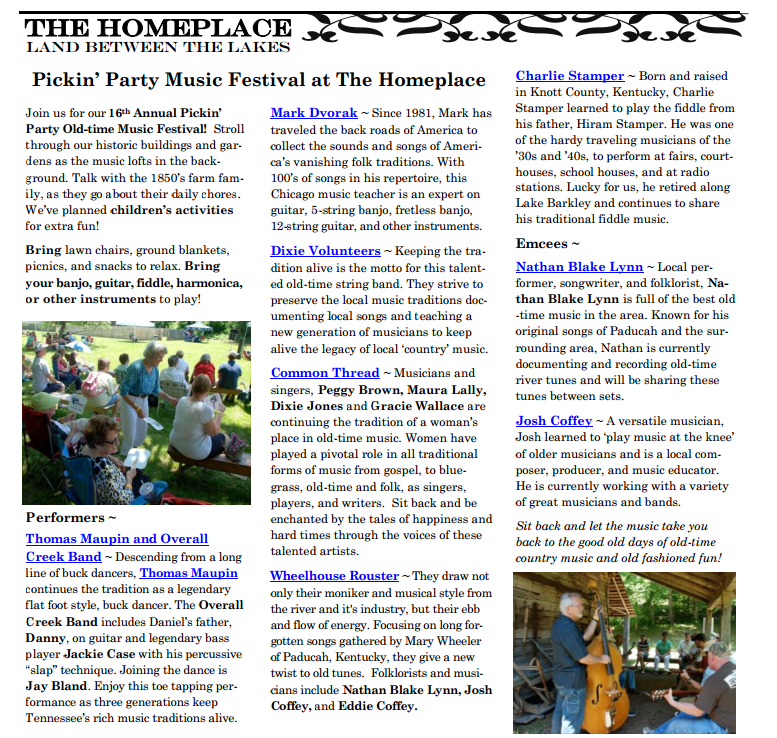 It’s that time of year again – time for the Annual Homeplace Pickin’ Party! This will be the 16th Annual Pickin’ Party and it just won’t be the same without you. Below are the details – commit them to memory. There may or may not be a test. Enjoy good old-time country music as it fills the Homeplace farm in the beautiful Land Between the Lakes. After a fun day in the sun, be sure to go to The Willow Pond Catfish Restaurant in Aurora for some of the best catfish, white beans, coleslaw, potatoes, and hush puppies you ever ate. Bring chairs and blankets if you want to really get comfortable and, whatever you do, don’t forget to bring your camera! See the image below (from the LBL) to read more about the performers! P.S.S. Don’t forget the Catfish!